Ella Mcquillan (Snow Fairy), Allan Brown (Dame Florrie), Kristin Franco (Frosty), Amanda Dullin-Jones (Princess Hannah), and Allison Meyer (Princess Ella) in “Frosted.” Photo by Simmons Design. The story focuses on two orphaned sisters, Princess Ella and Princess Hannah. The older, Ella, can do snow and weather magic, but Hannah cannot. A childhood accident results in the Snow Fairy intervening to cause Hanna to forget about her sister’s powers, with Ella vowing not to use her powers and hiding her talent from Hannah and everybody else. Eventually handsome but evil Prince Anders arrives and woos Hannah; this upsets Ella, leading her again to accidentally injure someone and then exile herself in a remote ice castle while plunging her kingdom into winter. Hannah then embarks on a quest to bring her sister back, assisted by an odd band of helpers, one of whom is a talking snowman. …the production is witty, entertaining, and quite enjoyable for both adults and children. This production is blessed with a number of strong performances. Amanda Dullin-Jones plays Princess Hannah, the younger sister, with sparkling charisma; she also sings well. Allison Meyer Is very good as Princess Ella, and she has an excellent voice. Their voices also complement each other nicely when they sing together in duets. Tyler Hanson, as a delivery boy, mountain guide, and later love interest, provides a sincere and likable Kristian. Joe Lilek is very impressive as the duplicitous Prince Anders. Lilek is able to convey the gravity of the character’s evil nature while maintaining the light and comedic tone of the play; he also has an exceptionally fine singing voice. Allan Brown plays the gender-bending Dame Florrie role with aplomb, demonstrating excellent comic timing across a range of comic genres. Kristen Franco delivers a stand-out performance as Frosty, the talking snowman. Franco demonstrates an extraordinary aptitude for comic dancing. She, Brown, and Lilek are also responsible for most of the fourth-wall-breaking interaction with the audience; they handle the improvisational aspects of these interactions well, each maintaining their character’s distinctive voice during these interactions. Mention should also be made of Francis Hoag’s non-speaking performance as the Abominable Snowman. Hoag imparts a witty and delightful physicality to his brief role. Production values are generally good. Scenery design works well, enhanced with low-key but effective special effects using lighting and artificial snow. The costumes are very effective, enriching and enhancing the production without being distracting. The production is accompanied by live accompaniment with a small five-piece orchestra. This accompaniment unexpectedly turns out to be both a strength and a drawback. While the musicians play well and provide an upbeat tempo which helps carry the production along, sometimes the volume overwhelms the singers. While the voices of the central characters are generally clear, lyrics sung by the supporting cast are at times inaudible during large song-and-dance numbers. Similarly, the voice of the Snow Fairy was under-amplified during the opening night production, making it difficult to understand her words. Overall, however, the production is witty, entertaining, and quite enjoyable for both adults and children. The audience, including this reviewer and his 10-year-old daughter, were fully engaged during the entirety of the crowd-pleasing performance. The show also provides Americans an opportunity to witness aspects of British culture that interconnects a variety of styles of humor, ranging from Shakespearean to Monty Python and Mr. Bean. Running Time: about 140 minutes. One fifteen minute intermission. Advisory: The show is recommended for ages four and up, though parents should be aware of significant flatulence-based humor. Candy is also distributed. Mild fog and strobe effects are used during the production. 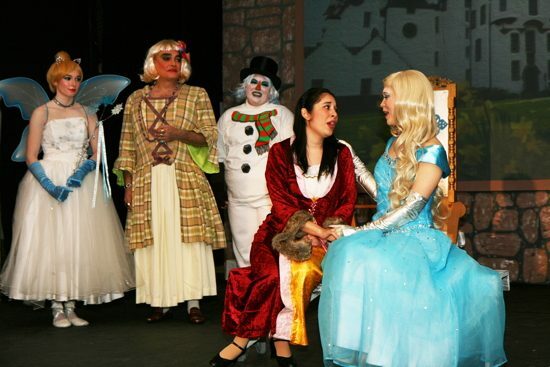 “Frosted: A Traditional British Panto” plays through December 16, 2018, at the Kensington Town Hall in Kensington, Maryland. 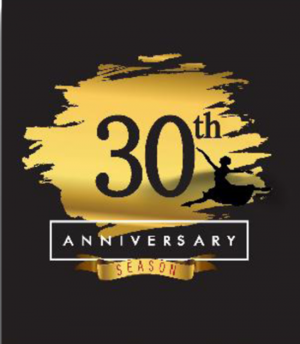 For more information about the British Players, including a calendar of their upcoming shows and a link to online ticket sales, visit their website.